It is well known that OTA’s and hotels are in a long standing battle for customer bookings. Whenever an OTA books a room for a hotel, that hotel must pay the OTA. This can be pricey since about 58.28% of people booked hotels through an OTA according to a study done as of May 2017. This can be frustrating for hoteliers. When rooms are searched for, an online travel agency like Expedia or Orbitz is most likely to rank the highest on a search results page. In order to compete and get people to their sites, hoteliers must raise their ranking. In May I wrote an article about how hoteliers can use their websites to compete with OTA’s by having engaging content and a multi channel marketing strategy that includes SSO. The good news is that there is a battlefield beyond the search engine available to help hotels compete with OTA’s. That battlefield is Social Media. Social media is one of the most powerful business tools for any company. 2.46 billion people are on at least one social network. This is a very wide outreach for hotels. 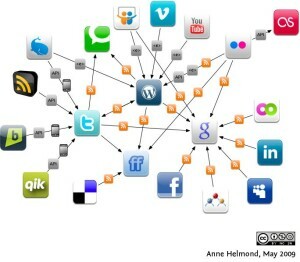 Social media allows hotels to connect directly to their followers and the masses. Another attribute that makes social media powerful is the word-of-mouth culture. If someone likes something or reposts it, then all of their friends and followers will see it. This is the new face of digital marketing and advertising. If people can connect with you on social media, they will have direct access to your website which makes them more likely to book on your site. One of the greatest things about social media is that it gives you the ability to directly communicate with customers and potential guests. If anyone has a question about a room rate, they can post it on your page and you can respond instantly. This is a useful tool to exhibit the customer service culture at your hotel. If you are responsive and helpful, your hotel will seem more professional. These are the basic forms of communication on most social media sites. Hotels can post anything from blogs about local events, room prices, pictures from the hotel, and more to generate attention to your site. Statistically, people are more likely to respond to updates with pictures. You can also post deals, discounts, contests, and surveys to get more customer interaction. Updates should be targeted towards the audience you want to book with you. Video is one of the strongest forms of content to attract guests. Around 70% of marketing professionals state that video converts more than any other medium. Hoteliers can post promotional videos, virtual tours, videos of the local area, and guest videos on their social media accounts to give people a better look at what staying in their hotel is like. The battle for bookings between hotel sites and OTA’s is one with no end in sight. Both sides must figure out how to trump the competition. There are plenty of things that hoteliers can do to get people to book direct, but the most valuable land is online, specifically the social network. Learning how to properly navigate social media may give your hotel an advantage over the competition.